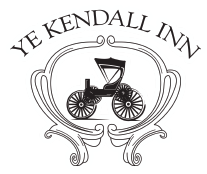 The Ye Kendall Inn offers a state of the art conference space that can accommodate all of your business needs. Whether you are hosting a meeting, a team building, or a company picnic we have you covered! Kendall Halle a 4500 square foot conference center that can break down into 4 separate meeting spaces. It can accommodate up to 300 guests for a cocktail reception or comfortably seat 250 guests. The Halle offers many flexible layout options for any type of event. Ye Kendall Inns’ grounds offer plenty of space for your guests to wander and enjoy the Texas Hill Country. Enjoy our beautiful Antebellum Courtyard for mixing and mingling. Company parties are sure to leave an impression when the list includes: cocktails and dinner under the stars and twinkling string lights, and a cozy outdoor fireplace.